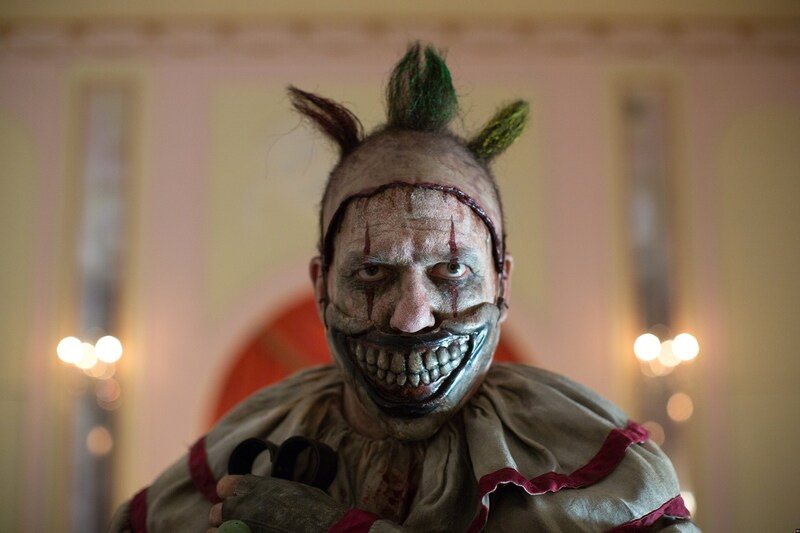 Of all the many characters and fan-favorites set to return for the seventh season of FX’s American Horror Story – Stefani Germanotta (AKA Lady Gaga) included – few would have expected to find Twisty the Clown’s name on the casting docket. And yet, according to Ryan Murphy’s latest Instagram post (via Bloody Disgusting), AHS season 7 will indeed herald the return of that demented killer in question. Played by John Carroll Lynch in Freak Show, Murphy posted a rather ominous picture of a Twisty: The Clown Chronicles novel via Instagram – a post framed within the screen of a camera – along with the caption, “He’s Baaaaaack.” And if that isn’t firm confirmation, we don’t know what is. In keeping with American Horror Story‘s anthology format, chances are FX will cast a new actor (actress?) to replace John Carroll Lynch as the terrifying Twisty. Bear in mind that there is also a very good chance that series showrunner Ryan Murphy has shared a cheeky Easter egg here, and is simply paying tribute to the legend of Twisty, rather than confirming his/her appearance in AHS season 7. FX’s horror series enjoys toying with expectations, after all. What we do know is that Germanotta will be joined by a handful of series stalwarts – namely Sarah Paulson, Evan Peters, Billy Eichner, Billie Lourd, Cheyenne Jackson, Colton Haynes, and Leslie Grossman – for a series inspired by the bizarre events of 2016’s U.S. Presidental Election. Drawing inspiration from the Presidential Election of 2016, American Horror Story season 7 will be on our screens sometime this fall. Tell us, what do you make of Murphy’s latest Instagram post? Indeed, are you excited to see a familiar, demented face among the cast later this year? Leave your thoughts, comments, and speculation in the usual place.